01)Non Veg Callifornia Crabstix,Avacado & Cucumber. 02)Spicy Salmon-Scottish Salmon with Spicy Paste. 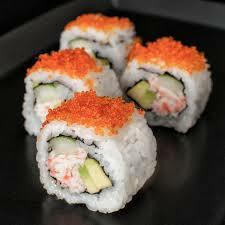 6)Spicy Tuna-Tune with Spicy Paste. 09)Spicy Chicken-Chicken with Spicy Paste. 10)Philadelphia-Salmon,Spring Onion & Cream Cheese.